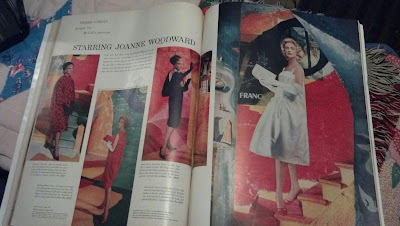 Another inside look at the vintage McCall's magazines in my prior thrift post. Although the may issue had many great photos and advertisements, I found some additional value in this September issue with the actual articles. 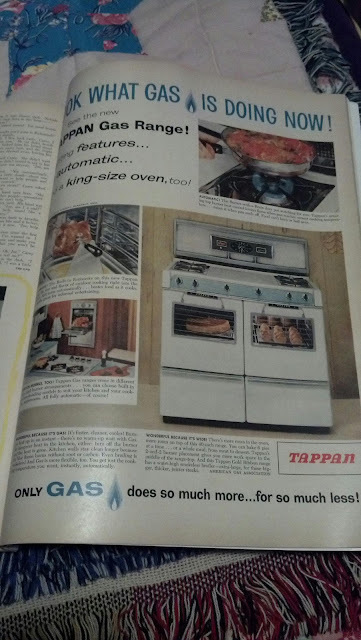 As for the advertisements, I loved this one for Tappan gas ranges. Although I hope to eventually find an Tappan range older than 1958, this particular brand is my dream. 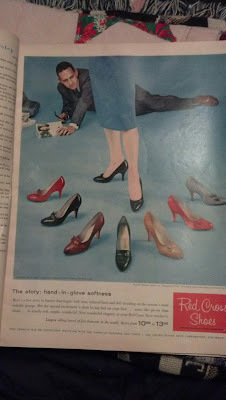 This shoe advertisement featured a few pairs which I would love to add to my wardrob. 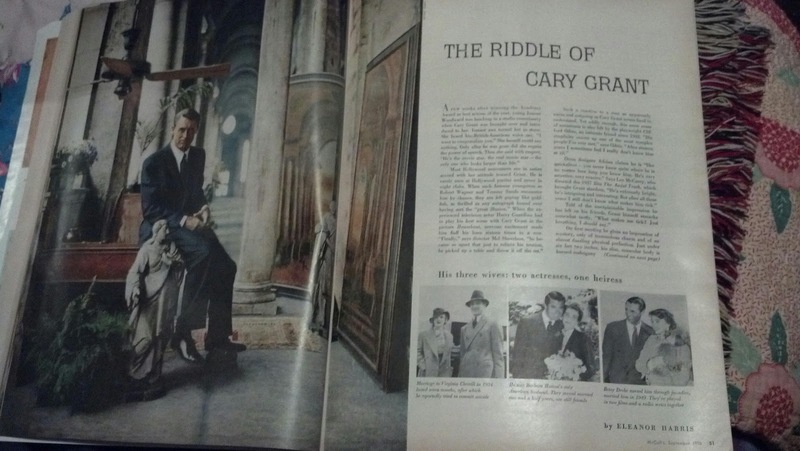 Clearly they just don't make em like that anymore. 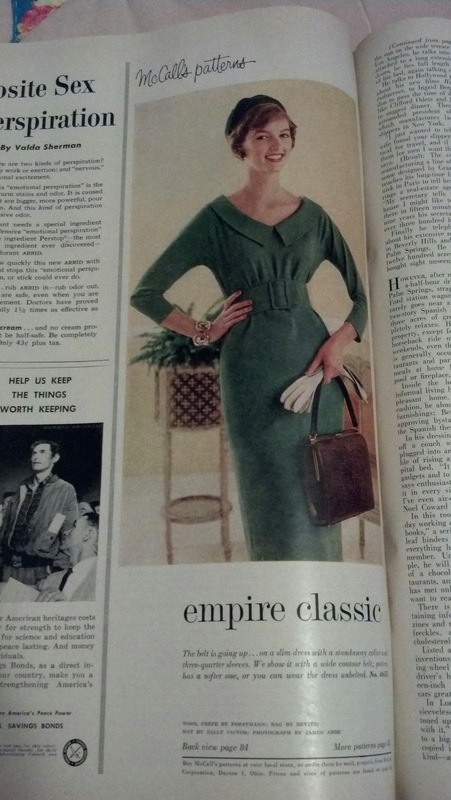 This dress was featured with the McCall's Patterns. 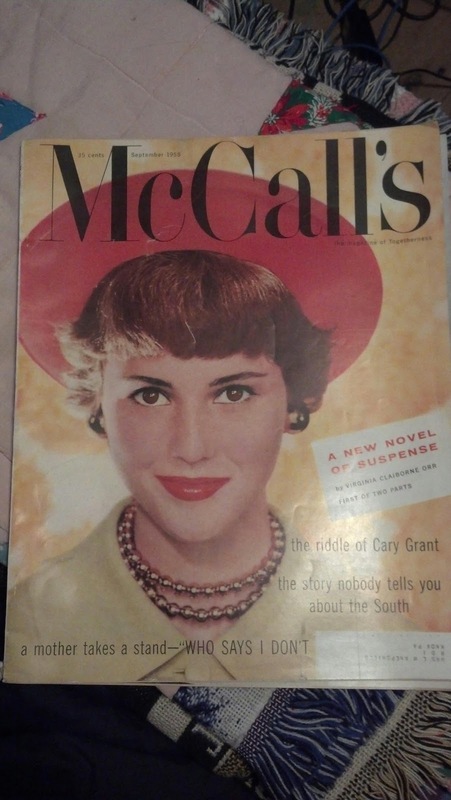 I love the lines to it as well as the collar. Finally, amonst the articles was this one "The Story Noboby tells you..." about the south and segregation. There was this photo heavy article on Joanne Woodward that I enjoyed browsing. 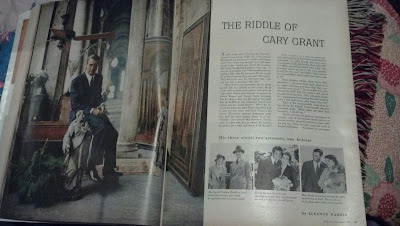 Finally, there was "The Riddle of Cary Grant" - whom I personally think is wonderful. It all started with watching Houseboat when I was younger. 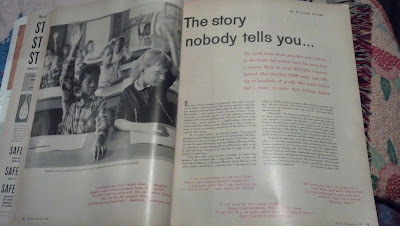 Ironically this article came out around the time of it's release. Well lovelies, that is all for now. I believe now would be a good time to curl up in bed, pop in my old VHS of Houseboat, and grab some hot cocoa to before another day of work tomorrow. Love your two mccalls. I love looking at older magazines and finding some awesome ads! Thanks Chrissy! I'm glad to see others still love it!